← New Starbucks Replaces Old One On Post Road. Drivers Beware! A new store opened Saturday in Saugatuck. Bar ‘Bucha — next to Tutti’s — fits right into the revitalized neighborhood. 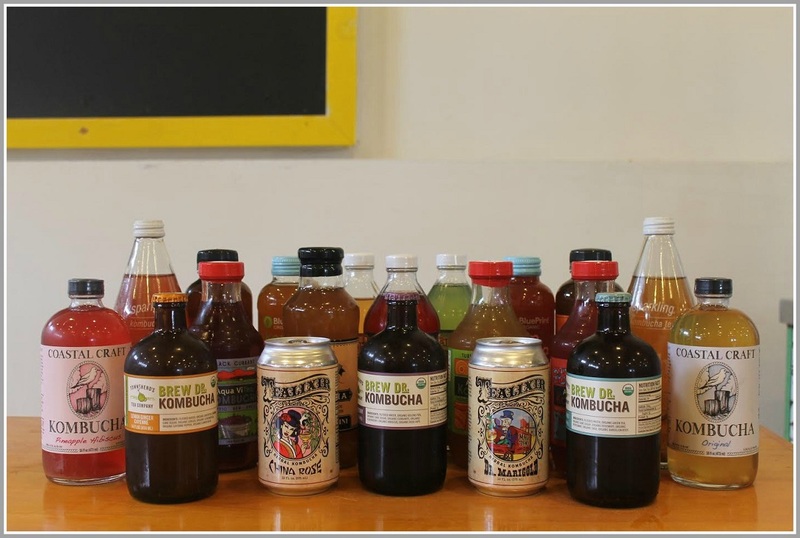 Offbeat, funky and fun, it introduces kombucha — a fermented drink made with a black tea base — to Westporters, who always seek the next healthful thing. Here’s the kicker. Bar ‘Bucha is owned by Aishah Avdiu. It’s her 1st commercial venture. That makes sense: She’s still just a senior at Staples High School. You wouldn’t know it to talk to her. With a family background in business — her father is a real estate developer, her mom works in the fashion industry — and her intense, no-nonsense manner, she’s ready to make her mark. And she’s doing it her way. Aishah’s family has enjoyed kombucha for years. Probiotic, low in sugars and calories, it’s used to treat intestinal issues and clean up skin. Kombucha is “a delicious drink with a super kick,” Aishah says. With a 1 to 2 % less than 0.5% alcohol content — not enough to qualify as an alcoholic drink — it comes in a variety of flavors. 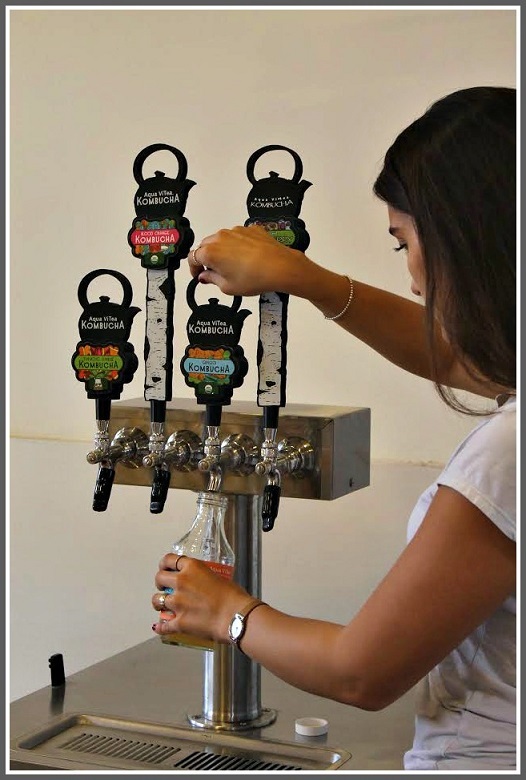 Bar ‘Bucha will serve ginger, mixed berry, lavender chamomile, citrus hops and others, in bottles and from taps. There will be healthy snacks too, but no other food or drink. If that does not sound like an ordinary business venture, you’re right. And if it does not sound like a business a teenage girl would start, you’re even more right. Aishah is no ordinary teenage girl. As a sophomore, she took accounting on a whim. Inspired by teacher Lenny Klein — and realizing she had good business sense — she signed up for every business course Staples offers. Advanced Placement Economics with Jon Shepro, and 2 semesters of Personal Finance with Sarah White, stoked her interest and creativity. Last May, Aishah looked at the notes she’d kept on possible businesses. A kombucha bar stood out. It was an unfilled niche, in a fitness-conscious town. She researched sources, traveling to other states to sample the best products. She found empty space next to Tutti’s, then sold the landlord on her plan. She got an investor, and secured loans. She even joined the Westport Weston Chamber of Commerce. With advice from her parents — and knowledge gained in her classes — Aishah dove headfirst into the work of zoning, building and health permits. She hoped to open in October. HVAC issues pushed that back to last Saturday. It was one lesson in the reality of retail. Another reality: You can’t personally staff a store on weekdays, when you’re still in school. Aishah’s arranged for coverage when she’s not there. But when the bell rings, she’ll head to Riverside Avenue. Bar ‘Bucha is not her after-school job. It’s her fulltime business. 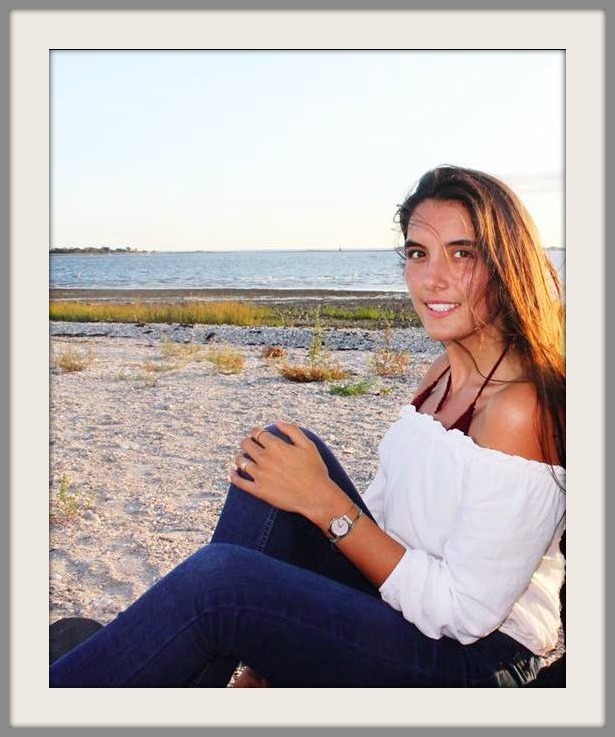 This entry was posted in Local business, Saugatuck, Staples HS, Teenagers and tagged Aishah Avdiu, Bar 'Bucha, kombucha, Tutti's. Bookmark the permalink. Anyone who is in recovery should go near a drink with 2% alcohol! 2nd, So happy you posted Adrian Little. I made the horrible mistake several years ago when Kombucha was 1st available of getting it for a relative just out of SilverHill thinking it would assist the detox process, like the medicines they were given when detox’ing from the cocaine and alcohol…a few weeks later, back at SilverHill I was told that the Kombucha I had gotten them had alcohol in it – then who knew, i dont even think the bottle was labeled – and had started them up again drinking and etc. Needless to say, I felt horrible and so did they. Kombucha is fantastic but not for someone with an addiction or allergy to alcohol. At 0.5% I agree that, personally I would drink this without risk to my sobriety, however at 2 % as per original post, no way. Good Luck with your new place Aishah! Good luck in this new venture, Aishah!